Greetings friends, and very long time no see! The long absence is due to nothing exciting. I've been working non-stop and not buying or wearing any blog-worthy clothing. But this weekend I had the pleasure to attend a wedding in coastal South Carolina and was excited for an occasion to dress up. 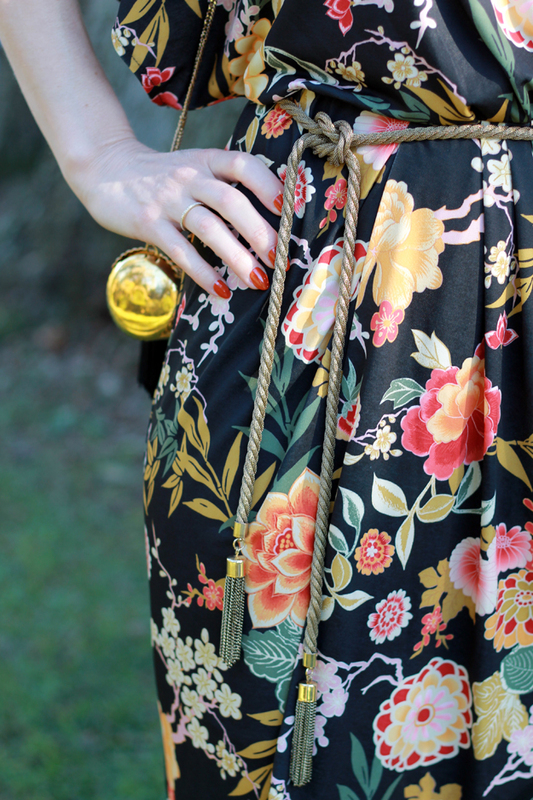 This floral-printed kimono style dress was discovered at Asos and is on clearance for $30 right now! 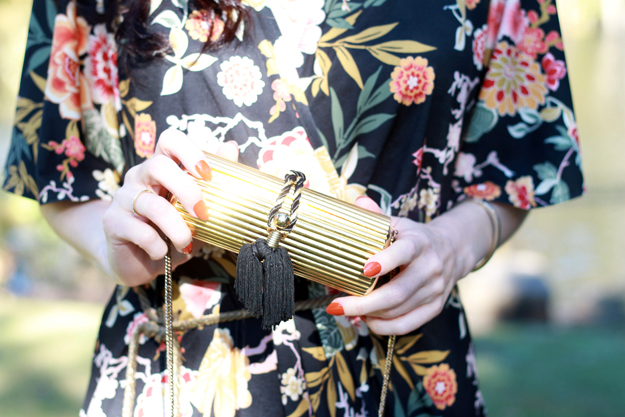 I paired it with a gold tassel belt and vintage gold clutch with black tassels (by the way, lovin' tassels right now). One of my favorite comments from the wedding came from an older lady - as we were in line for food, she told me she loved my shoes and my white hose. I looked down and told her I wasn't wearing any hose and that I was just pale. We both laughed at that one. Thanks so much for stopping by and have a fabulous week! i abs love your hair! perfect dress too! xO!